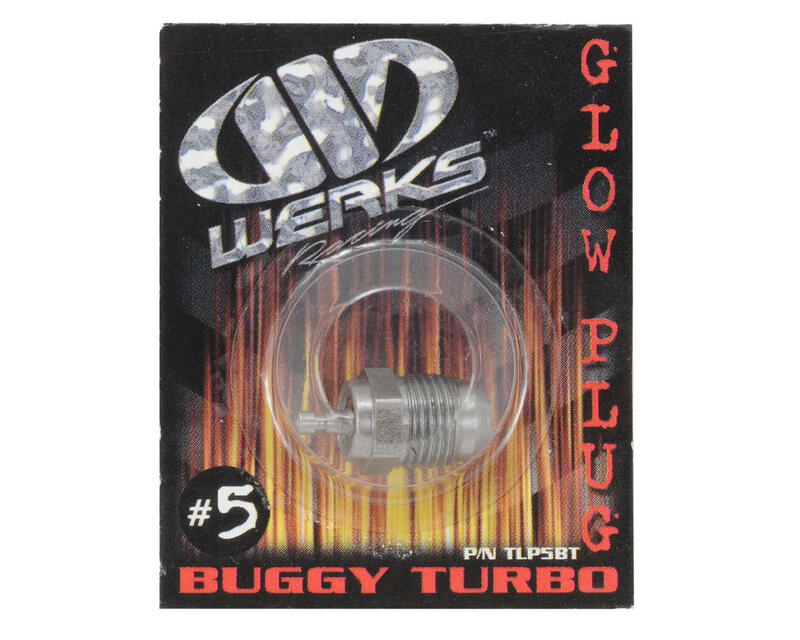 This is a Werks Racing #5 Turbo Glow Plug. This plug is an excellent choice for Werks, Sirio, and Trinity Extech .21 - .28 engines, and is recommended for off road applications. Great plug I have this in a werks b2 has made it through a break-in & still burning just fine! Great plugs!! seem to last longer than OSP3's! !great for the B5. Great company!!! Excellent customer service!!!! Had a fitment issue with a pipe and manifold and they sent me a whole new pipe and manifold!! !